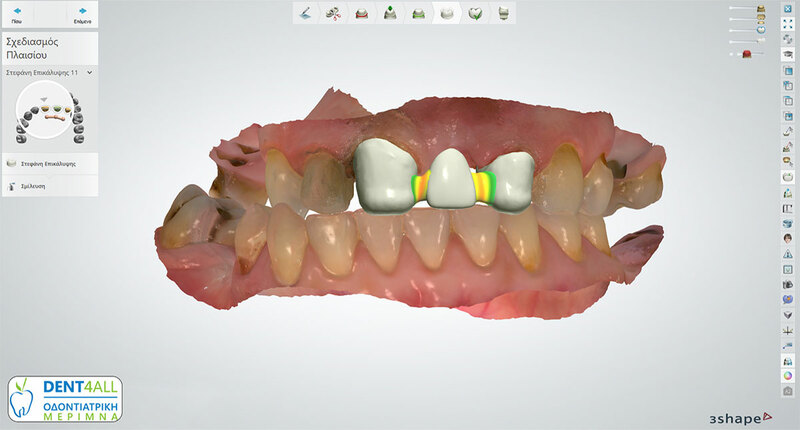 What is Dental digital computing technology? With the help of an intraoral or laboratory scanner, we receive a digital three-dimensional image of the mouth. 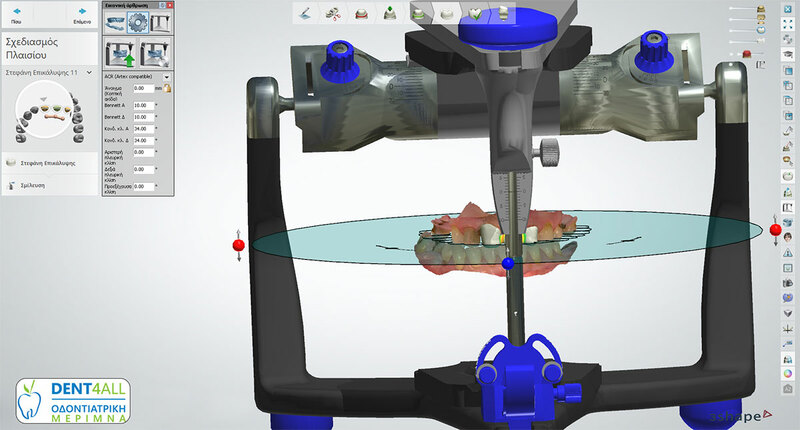 The digital information is then sent to a computer with special Cad-Cam software, where three-dimensional or prosthetic restoration is planned. 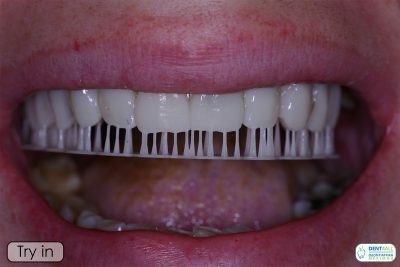 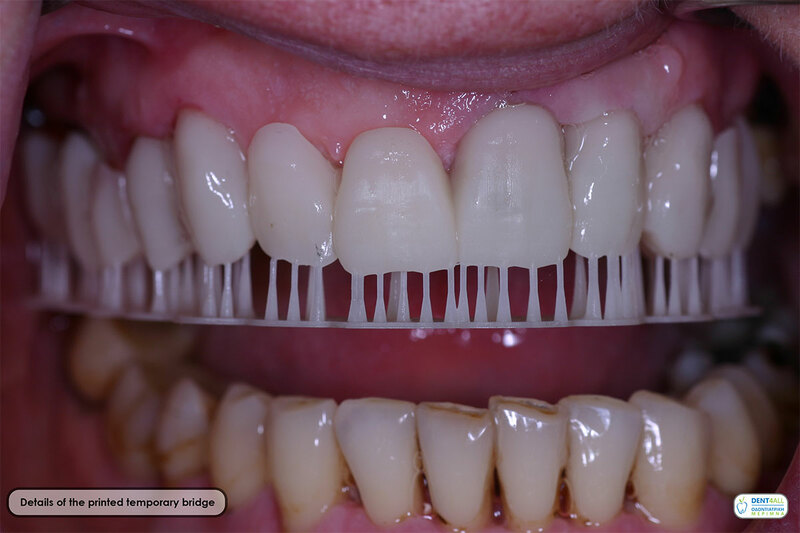 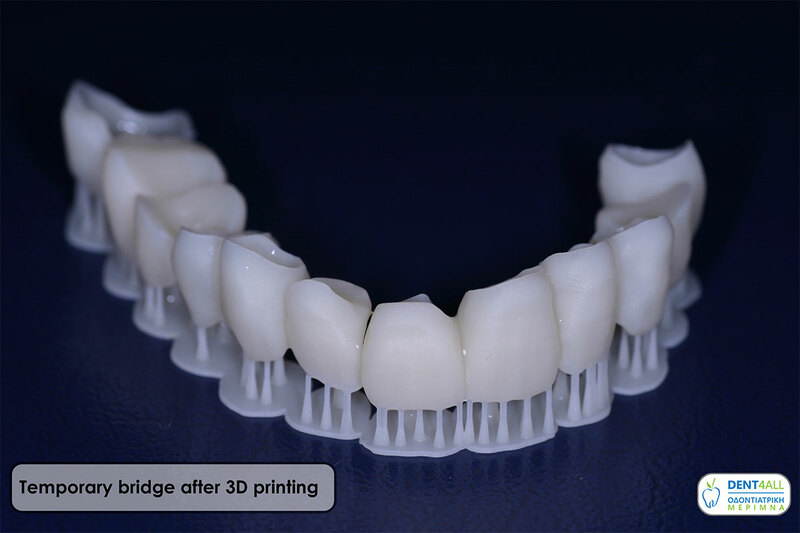 The precision of the impression gives much better prosthetic restorations in a time much shorter than classical dentistry. 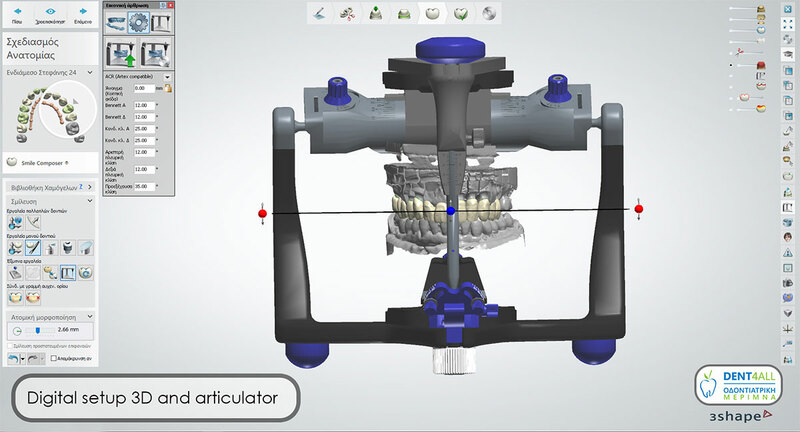 Digital computing technology and robotics have changed data in implantology, x-ray diagnosis, orthodontics, cosmetic dentistry and prosthetics. The surgical placement of the implants is done by means of special X-rays and special surgical socks designed in Cad-Cam software and printed on 3D printers or cut into robotic CNC cutting machines. 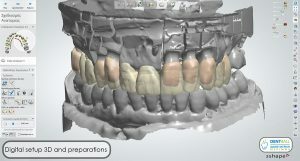 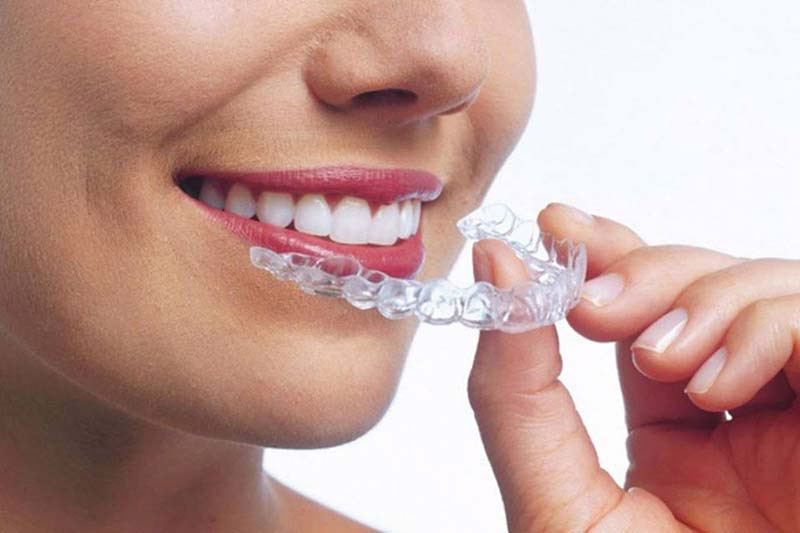 After the intraoral or laboratory scan, the orthodontist having a three-dimensional mouth imaging draws on the precise movement of the teeth in a specific software. 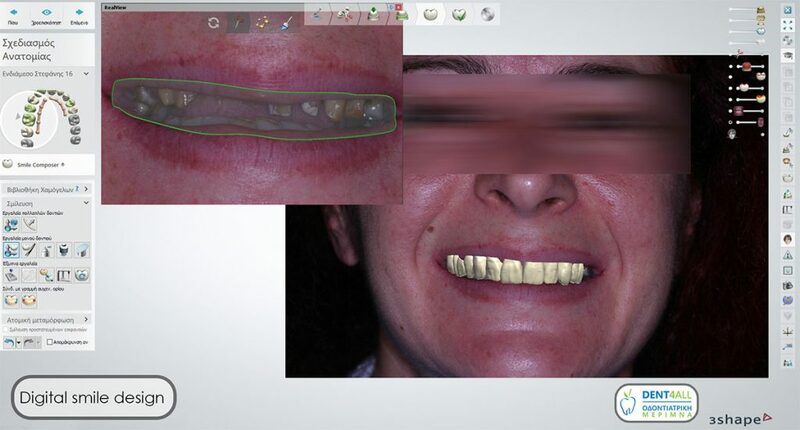 This simulation results in transparent splints for so-called invisible orthodontics. From a picture of the patient’s face with a special smile design software, a smile can be modified according to aesthetics and patient’s desire. 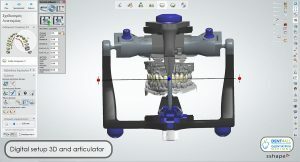 The resulting simulation can then be discussed with the patient. 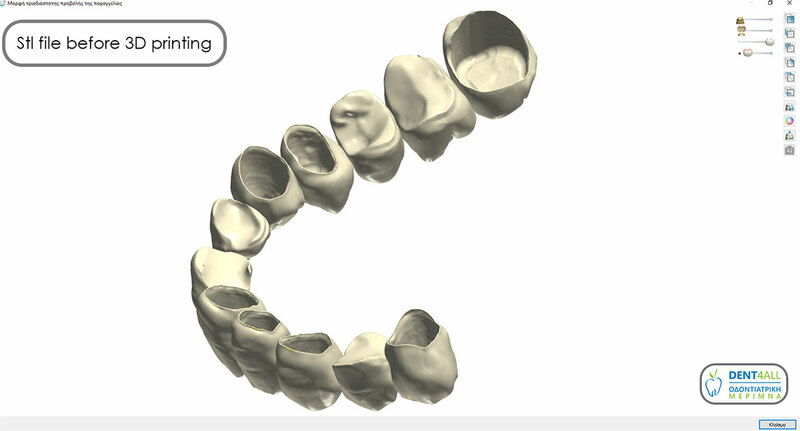 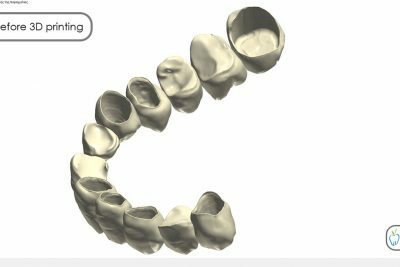 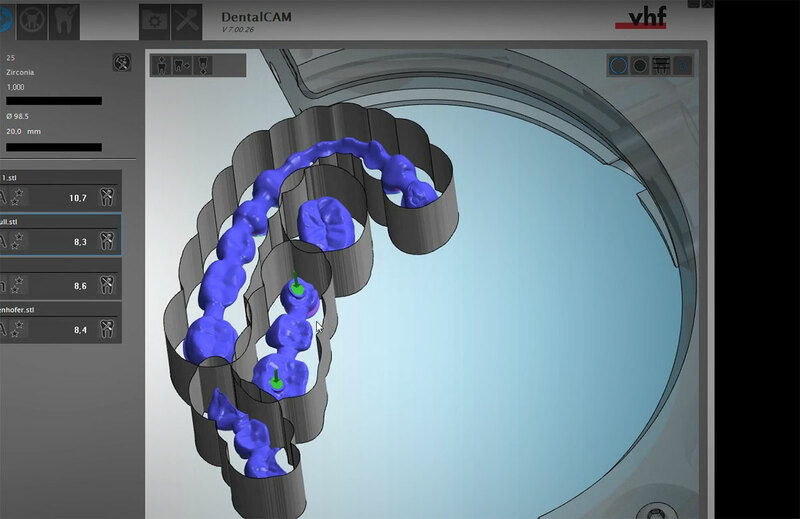 The digital scanning data from the intraoral or laboratory scanner is transferred to a dedicated CAD-Cam 3D software designed to create high-precision dental restorations at high speed. 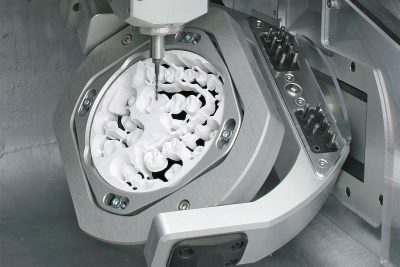 Robotic machines using Cad-Cam technology are associated with intraoral or laboratory scanners and that we have designed three-dimensional robots to make them mainly with cutting technology by removing material from a disk or cube. 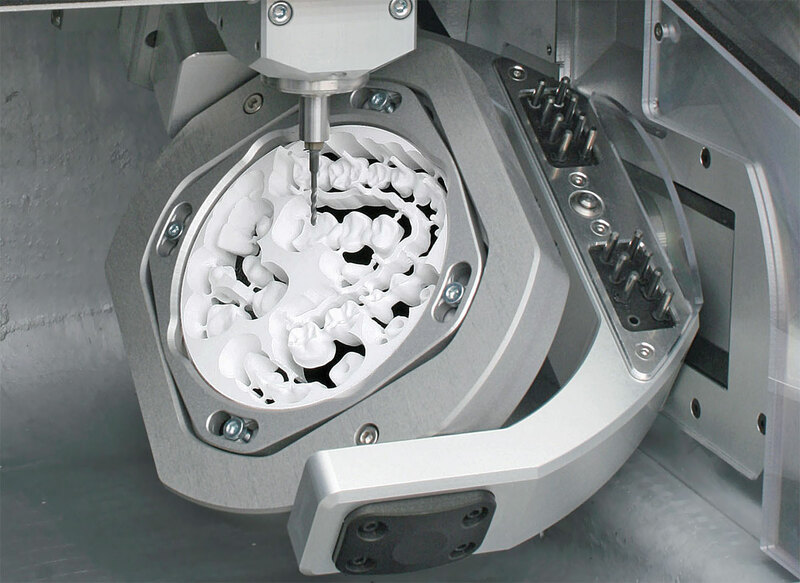 Robotic Technology combined with modern ceramic materials can provide biocompatible, high aesthetic and precise restorations. 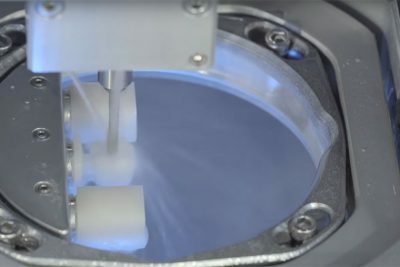 Finally, three-dimensional printers are machines that are connected to intraoral or laboratory scanners and with special software we can create repairs of primary translucent acrylic or metal frames for porcelain building with three-dimensional print-addition technology with the help of special layers of Cad-Cam resin or powder cromocobalt alloy.